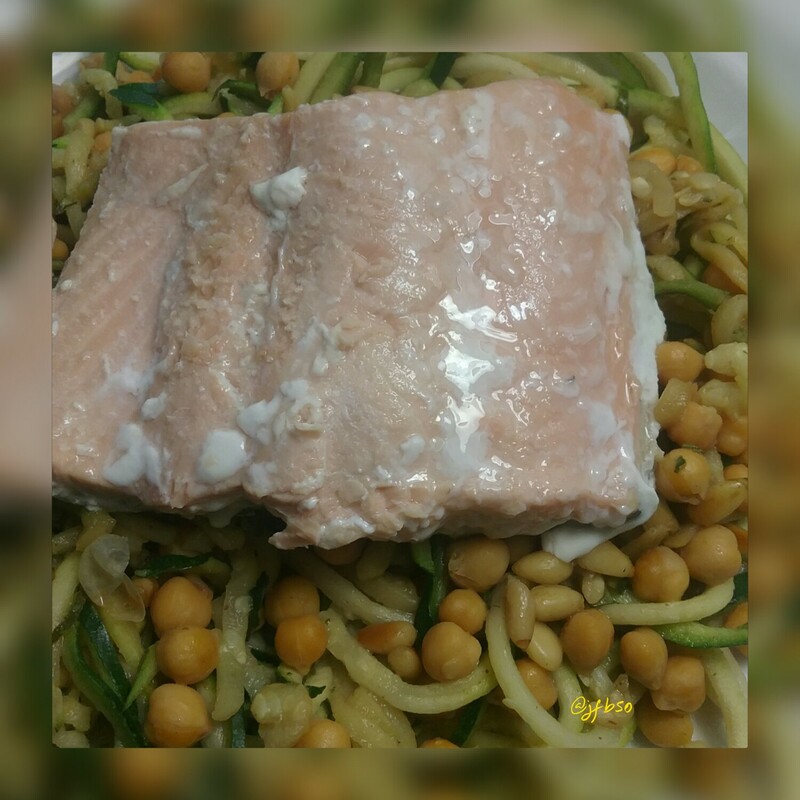 Wild keta salmon on courgetti, chickpeas and pine nuts | Jo's food bites. Bake the salmon fillets in the oven in a tin foil parcel for 10-15 minutes – no additional flavours / oil added. Whilst it is cooking, heat the oil in a frying pan. Add the chick peas, pine nuts and ginger and cook for 1 minute. Add the courgetti and cook for a further minute. Add tamari – heat through and serve.